This Southwestern-inspired design, crafted from 16 oz. 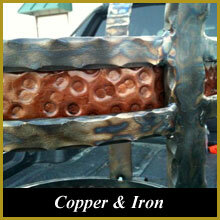 (24 gauge) copper, features a light patina with overall hammered finish. 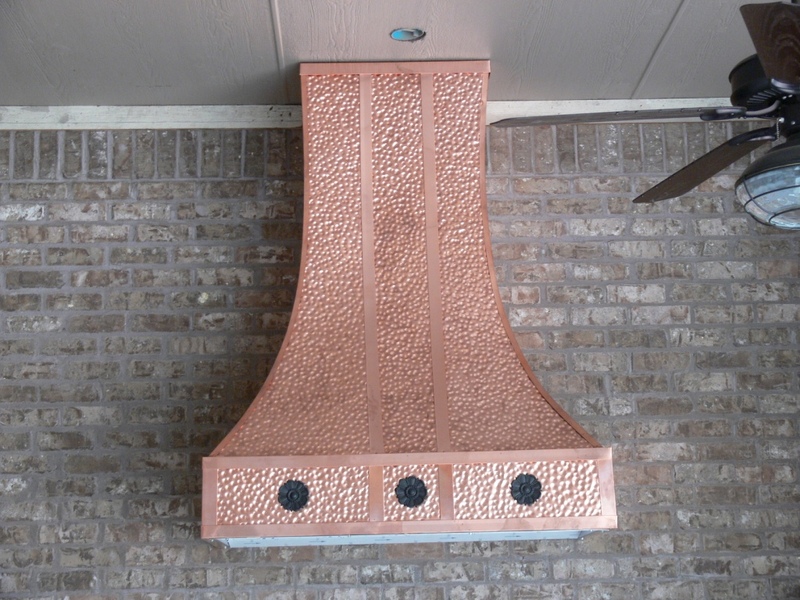 Simple copper straps create simplistic beauty along with three cast iron rosettes along its base.